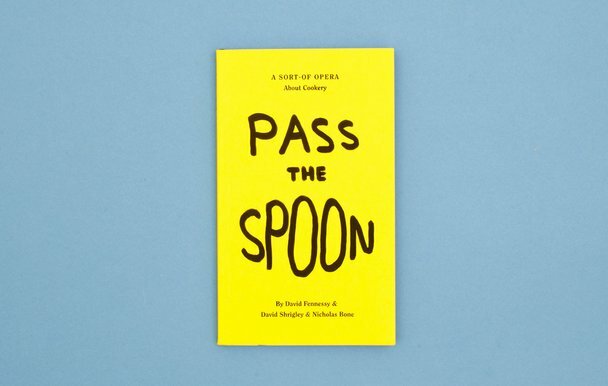 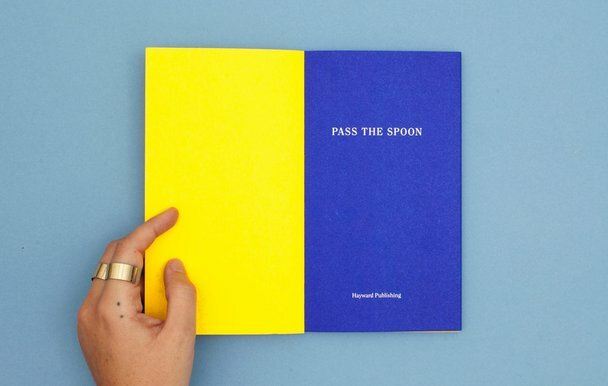 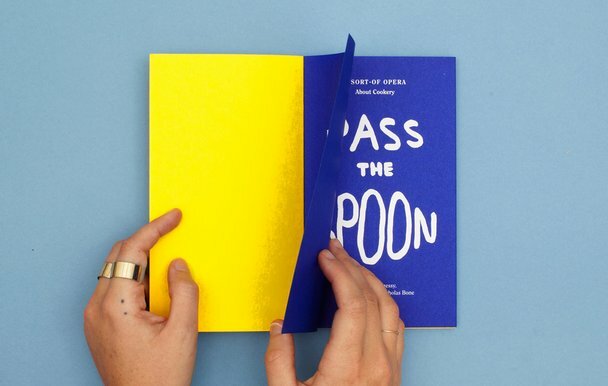 Design of publication Pass the Spoon libretto for the David Shrigley, David Fennessy & Nicholas Bone opera, with Jackson Lam. 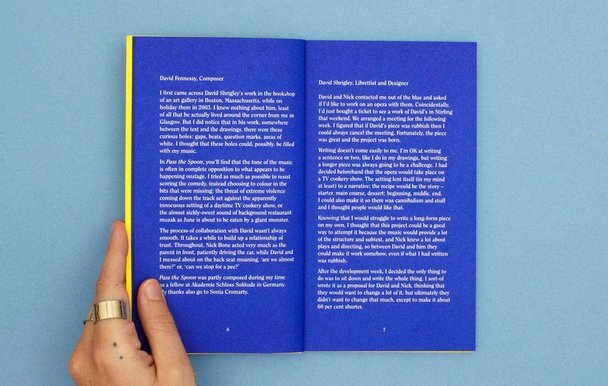 The publication draws upon the design of the traditional opera libretto and is used in conjunction with the playful nature of David Shrigley's work. 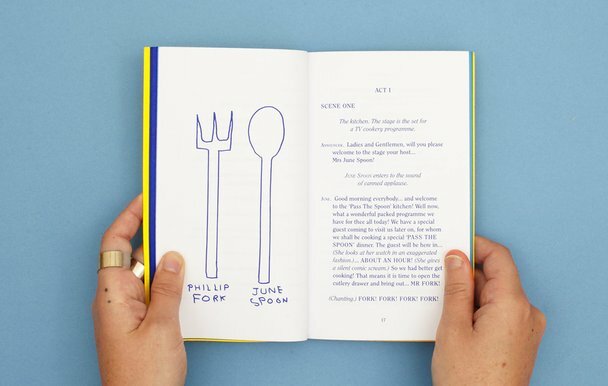 Looking at the cookery books and the visual representation of cook Fanny Craddock, the publication plays on the boundaries of the formal and informal.